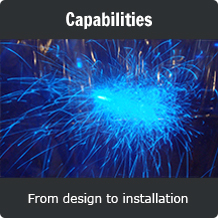 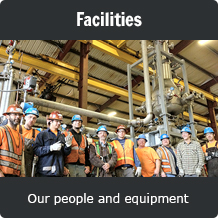 Custom steel fabrication including design and installation services for material handling and processing systems. 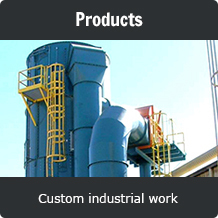 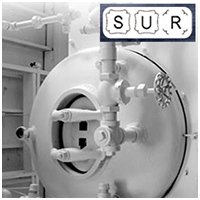 Our products include pneumatic conveyors, mechanical conveyors, conveying components, chip storage systems, dust control systems, pressure vessels, storage tanks, process piping, pipe spooling, process skid assemblies, recycling systems, truck tarping systems, metal buildings, and much more. 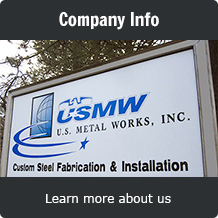 U.S. Metal Works, Inc. is a national company with manufacturing facilities in Sandy, Oregon and Liberty, Mississippi. 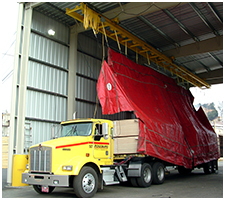 Both sites offer design, fabrication and complete field installation services for industries including wood products, pulp and paper, chemical, food processing, recycling, material transportation, mining and many others.